Late summer in the bush is invariably variable. The landscapes are rich hues of gold and green, accented with blue shadows. Mornings are just cool enough to get a shiver on the open game viewing vehicle, but by breakfast time the sun is baking and the animals are either in the river beds or deep in the shadowy thickets. The beauty of the landscapes and summer bird life is balanced by the challenge of finding the four-legged animals in the thick grass and dense bush. 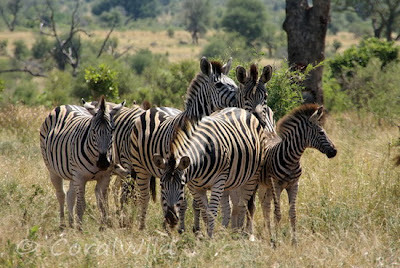 Kruger is truly a wilderness, therefore animals do not pose on the roadside or at the waterholes for us! 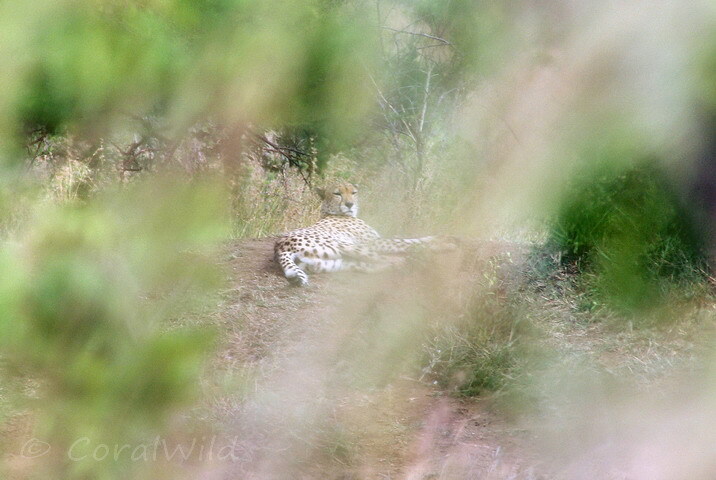 However, the hours of patience on long game drives are always rewarded and some of the amazing sights and encounters of this last week I've described below. 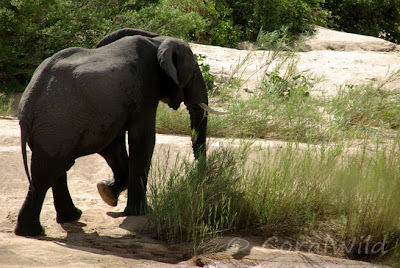 On two different occasions, VERY close bull elephants, adrenalin inducing to say the least! 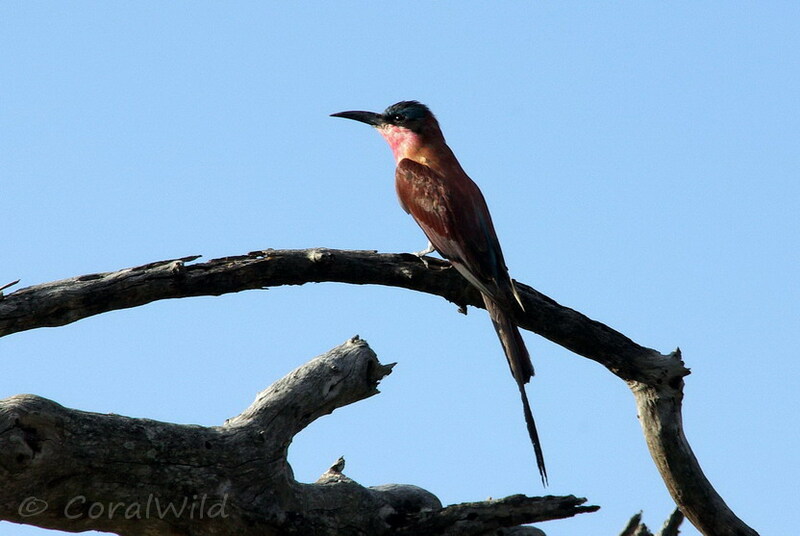 We saw bee-eaters everywhere, especially along the Sabie River – Little, Southern Carmine, European and the local resident, the White Fronted. Their graceful, colourful, swooping flight distracted the eye at every turn. 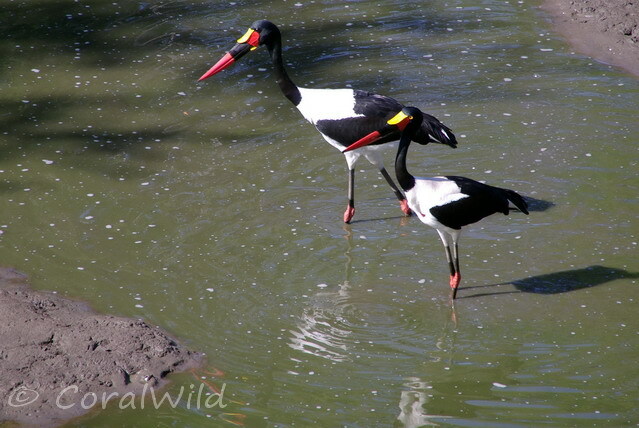 Another really good sighting was of a pair of the critically endangered Saddle-billed Stork. 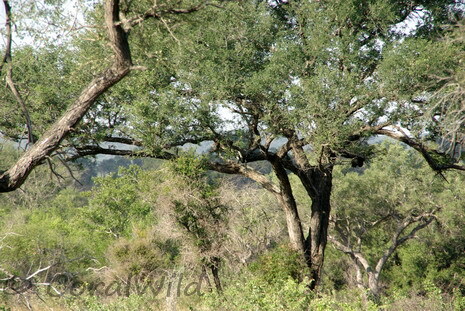 There IS a leopard in this tree! 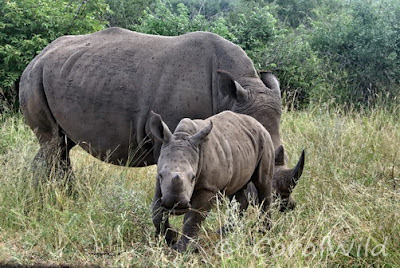 The HUGE highlight of the week for me was the 15 minutes we spent in the company of a white rhino mother and calf. 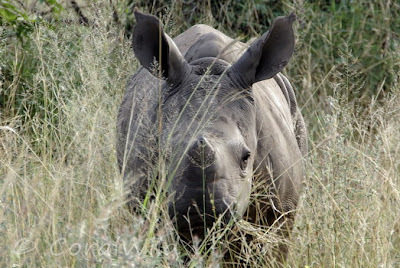 They were 15 metres away in the long grass when we first saw them, but as we waited, they gradually grazed their way towards us until we had the youngster doing his little playful bounces only 2 metres from the vehicle. Mum seemed totally unconcerned and also ended up really close. Letting the vehicle free wheel away, we moved slowly off down the road and then they crossed over behind us and disappeared into the bush – how fortunate we had been! We had many, many other great sightings but I will leave you with these for the moment. 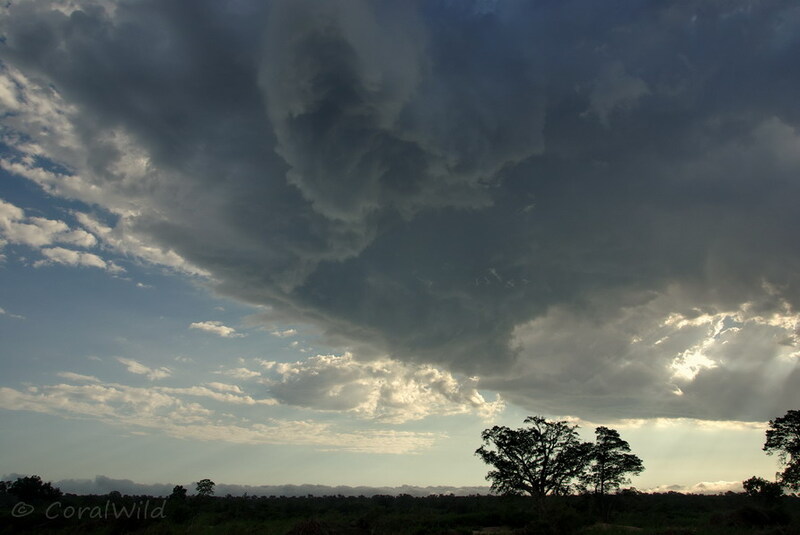 It may be a another couple of weeks before I post again, as I will be back in Kruger from Monday, so until then keep saving hard for that next safari with me! Don't worry Gavin - only at full resolution, and because I know where it is, can I see it..... - legs only! It is impossible at this resolution! Simply beautiful. 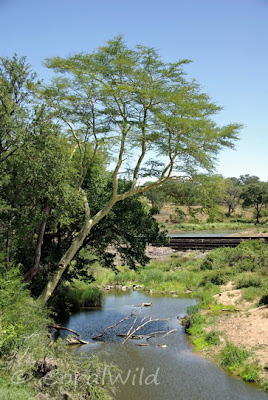 I am hoping that I can make it to South Africa some day but not likely any time soon. It would be wonderful. Something I've just remembered from a far off visit to Kruger with my parents - we loved looking out for lilac-breasted rollers, but it was only years later after I started going to camera club here in Bristol and I saw a picture of one with its wings spread that I realised that they're infinitely more beautiful when you can see the lovely colours in the wings above and below - it took my breath away. I'd never realised what I had been missing! It's still looking beautiful, and yes Caroline, those lilac breasted rollers are gorgeous in flight - but very difficult to capture on camera!